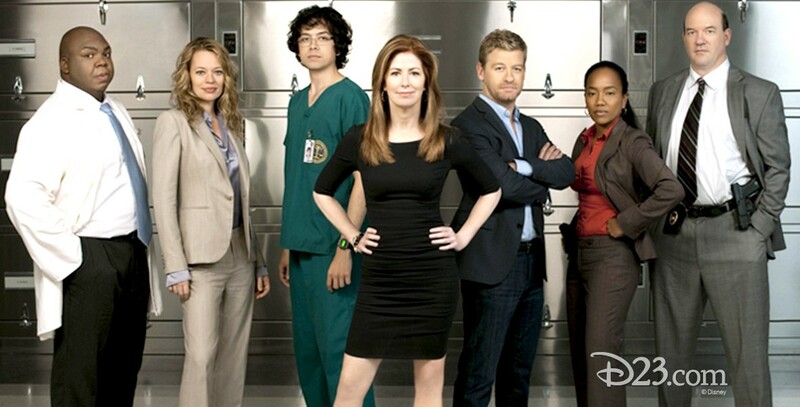 Body of Proof (television) Drama series premiering on ABC on March 29, 2011, and ending May 28, 2013. Dr. Megan Hunt was a brilliant neurosurgeon but a devastating car accident ended her time in the operating room, and she became a medical examiner. As she, with her sharp instincts, puzzles who or what killed the victims, she also fudges the lines of where her job ends and where the police department begins. Stars Dana Delany (Megan Hunt), Jeri Ryan (Dr. Kate Murphy), Geoffrey Arend (Dr. Ethan Gross), John Caroll Lynch (Det. Bud Morris), Windell Middlebrooks (Dr. Curtis Brumfield), Nic Bishop (Peter Dunlap), Sonja Sohn (Det. Samantha Baker). From ABC Studios. The show premiered before its U.S. airing in Europe, with a world premiere in Italy on January 25, 2011, followed by Spain, Poland, Hungary, and Bulgaria.